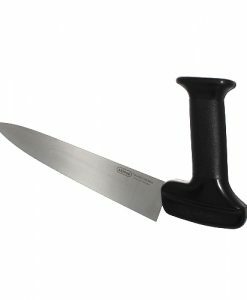 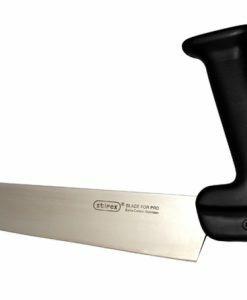 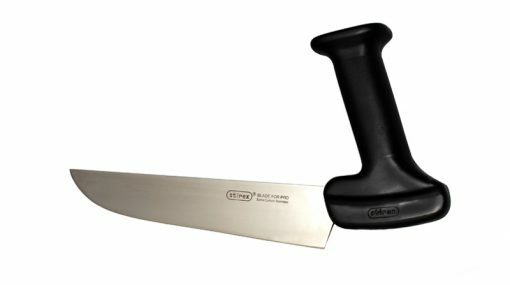 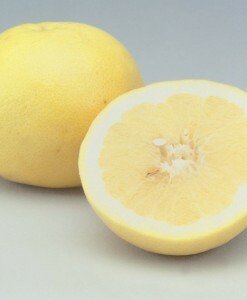 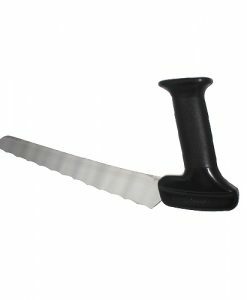 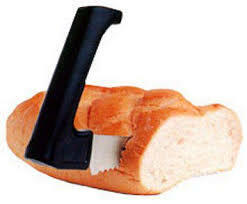 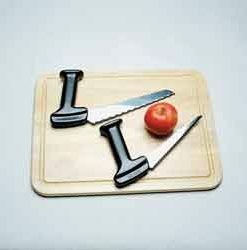 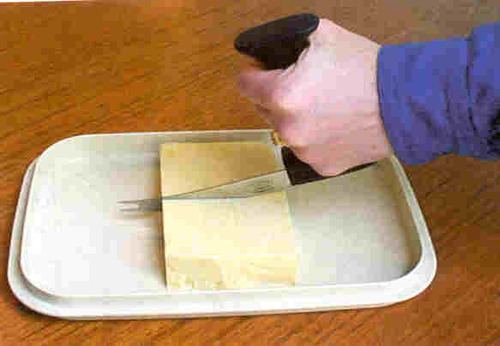 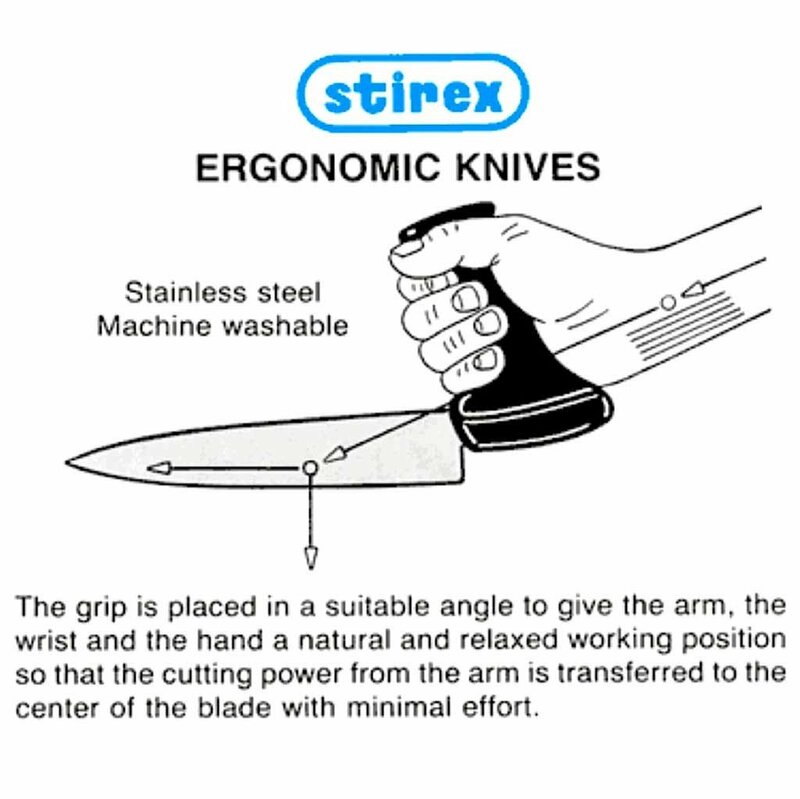 Ergonomic knife suitable for a variety of slicing and cutting applications in the kitchen. 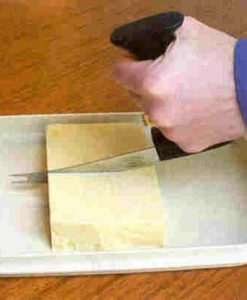 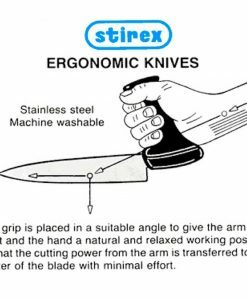 The grip is placed in a suitable angel to give the arm, wrist and hand a natural relaxed working position so that the cutting power from the arm is transferred to the centre of the blade with minimal effort. 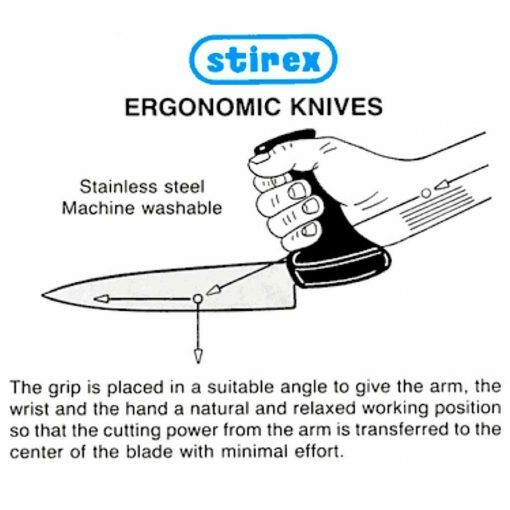 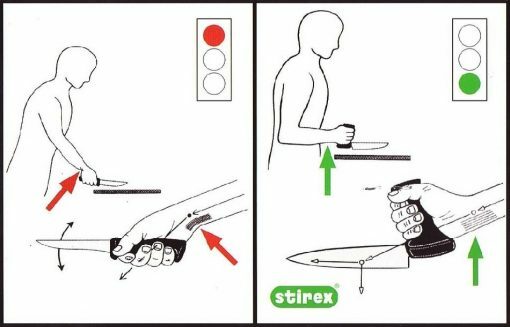 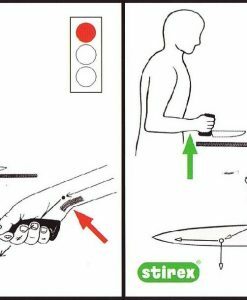 The purpose of the Stirex knife design is to avoid working with a bent wrist and subsequent excessive strain, pain and occupational injuries.